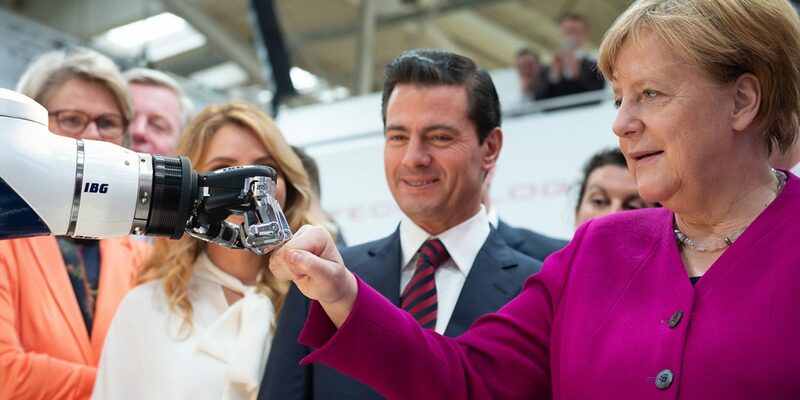 “Integrated Industry, Connect and Collaborate” was the battle cry of this year’s Hannover Messe, attended by 210,000 visitors and some 5,000 exhibits. The term Industrie 4.0 was first coined at the Hannover Messe in 2011. It seems appropriate that, seven years on, we should see many examples of real world use cases and market ready solutions for the digitalisation of manufacturing, and that people have been recognised as the centre of any implementation strategy. For size, diversity of industries, and buzz alone, the #HM2018 did not deceive. Below are just a few of the subjects which were worthy of attention at the Messe and appeared to be receiving particular attention. It has become evident that industrial data generated at source may require attention at source for mission critical applications or where latency is important. Not all of the data is of value beyond the edge, so a rationalisation before sending data to the cloud can eliminate unnecessary network traffic and storage requirements. The autonomous car is a perfect example where edge computing is essential, while the cloud is also important as a repository for what is learnt as the car proceeds, useful to others. 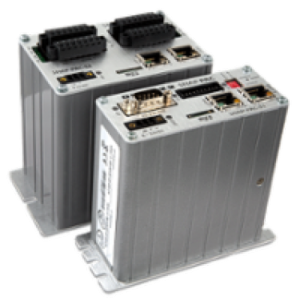 Many suppliers are getting to the stage where their Edge Processing options are powerful enough for local processing and AI functionality. Most players envisage architectures where necessary processing can be done at the edge, on designated devices, while the cloud will be the main repository, for rationalised data and further analysis. Although some experts claim that the proliferation of edge devices increases the opportunity for security breaches with more entry points, others would argue that the Edge Computing paradigm is an opportunity to implement security for the connected devices. Whatever the market direction, the correct combination of Edge Computing and Cloud will be an implementation challenge. The digitalisation of industry pursues significant savings in operational efficiency and optimisation while presenting opportunities for new business models though the digitalisation of products and services. A VDI study for the Hannover Messe in 2017 concluded that “companies with digitization technologies are increasing their productivity at work by up to 30 percent”. Although arguably IoT platforms are very different, and the integration opportunity is insignificant, the software vendors are keen not to miss the opportunity to get on the digitisation bandwagon, at least for their existing customer base. The manufacturing equipment suppliers and particularly the industrial control equipment suppliers do not wish to be late to the party however. ABB’s Ability is impressive in that it offers solutions for all the industries where ABB is present, which is just about everywhere. Siemens Mindsphere had a 350 square meter lounge to showcase partner solutions and provide discussion around the product. Schneider Electric was evidently promoting ExoStructure, with some clear explanations as to the value to be obtained. It remains to be seen whether buyers of IoT solutions for their companies will not be discouraged by the myriad offerings coming to market and, on occasion, lack of clear information on what is marketing hype and what is implemented and usable today. Both analysts and suppliers coincide in that a testing of the waters pilot project is the best approach to digitalisation, but obviously the choice of partners is an important initial step as considerable effort will be necessary from day one. 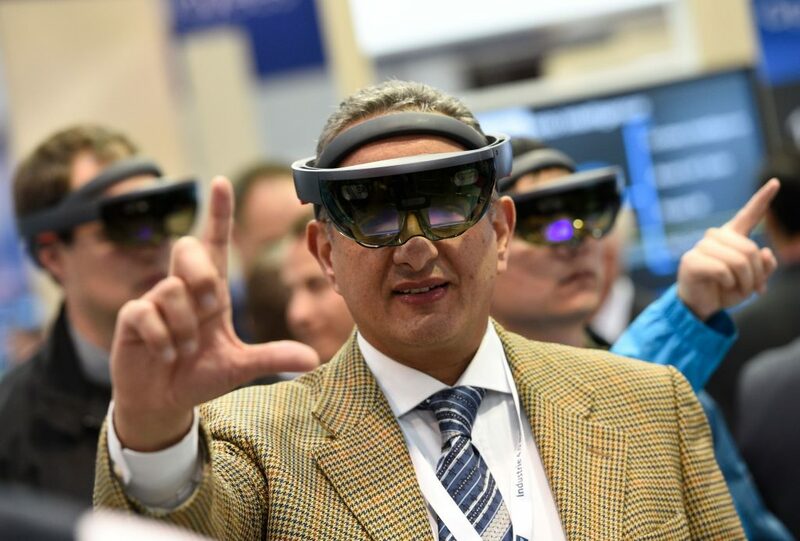 The Hannover Messe slogan for 2018 “Connect and Collaborate” was accurate judging by the number of exhibits of Augmented Reality solutions present at the fair. Of note were the examples if using smart glasses fused with other sensors to guide users through particular processes, such as the SEW order picking operation combining mobile robot platforms. Upskill, finalists for the HERMES award this year, demonstrated the use of enhanced maintenance information and the importance of the platform which allows the editing of the information of value to be transmitted to the user. SEW had more than one stand at the fair, with the slogan “The Real 4.0”, in reference to their considerable machinery portfolio, combined with digitalisation. After 7 years of talking about Industry 4.0 and digitalisation, this year’s Hannover Messe would indeed appear to emphasise that digitalisation is of the utmost importance, but that excellence in machinery and equipment manufacture are equally important.